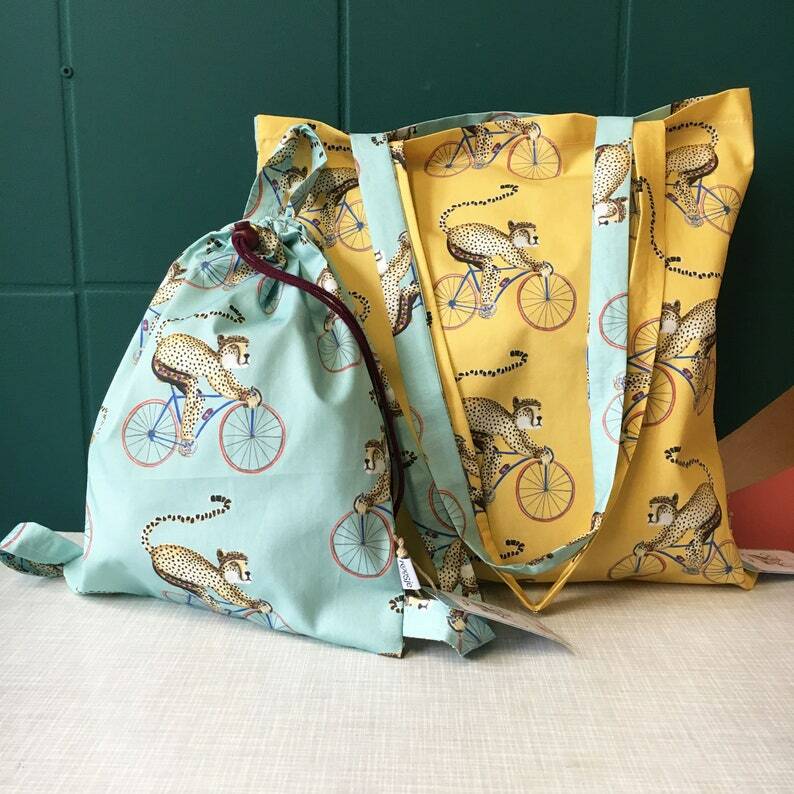 Cheerful Maxi & Mini set, made with our ' Cheeta on race bike ' print. The Shopper is warm yellow on one side and blue on the other side. The Children's backpack is made of the same blue fabric.